Note for Trade Customers: Bear with us as we are revising our trade discount structure. Meanwhile if you need to make an urgent discounted trade order please feel free to call or email. Kedel manufacture both the recycled plastic planks and beams from British Waste Plastic, as well as making many finished products with it. More information about our products can be found on our FAQs or Frequently Asked Questions pages. Recycled Plastic Wood or Synthetic Wood if you prefer, made almost entirely from polystyrene waste packaging, CD cases and old coat hangers - a versatile material with the same density and weight as some South American hard woods. It can be made to look like almost any kind of wood in any colour. Recycled Mixed Plastic, made mainly from HDPE and LDPE (High and Low density polyethylene) derived from post industrial and domestic waste plastic - plastic bags, old plastic buckets, plastic milk cartons, paint trays and all the plastic you or your company throw in the recycling bin on a regular basis. Kedel's Recycled Mixed Plastic Sheet - This is made from the same materials as above. 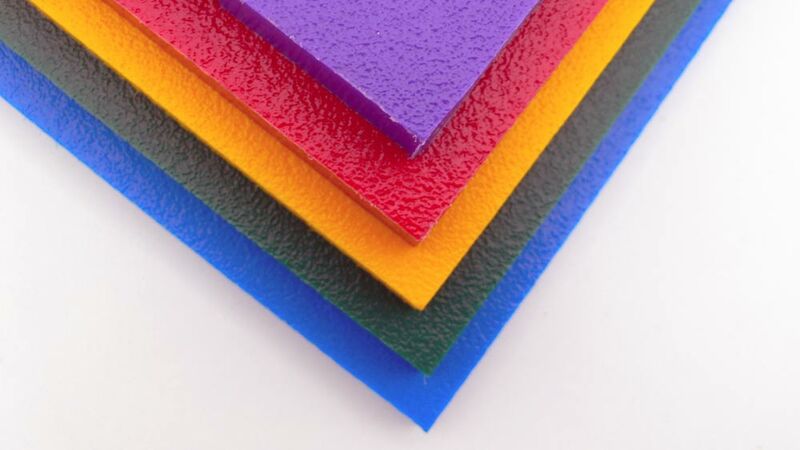 Recycled Plastic HDPE Sheet available in bright solid colours or sometimes a sandwich of two colours that can be cut into revealing the underlying colour to make words, letters, numbers and ornate designs. Great for manufacture of educational products and signs. Comes in a variety of thicknesses. 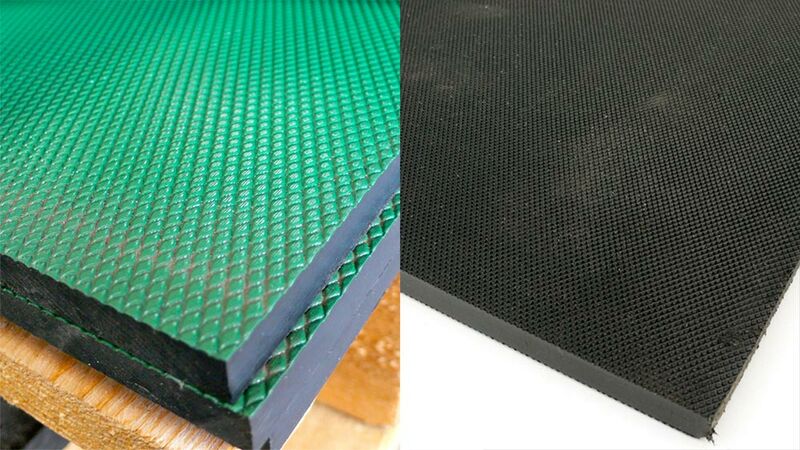 Stokbord™ sometimes misspelt as Stockboard or Stokboard–a heavy duty sheet material made from a mixture of HDPE and polypropylene–tough and durable for agricultural and equestrian use. Comes in a variety of thicknesses and can also be green coated. To help focus our business ideas we formulated a comprehensive green ethical policy statement that is the basic business ethic driving our growth as a company, both now and for the future. We are of course always open to suggestions that might improve it. 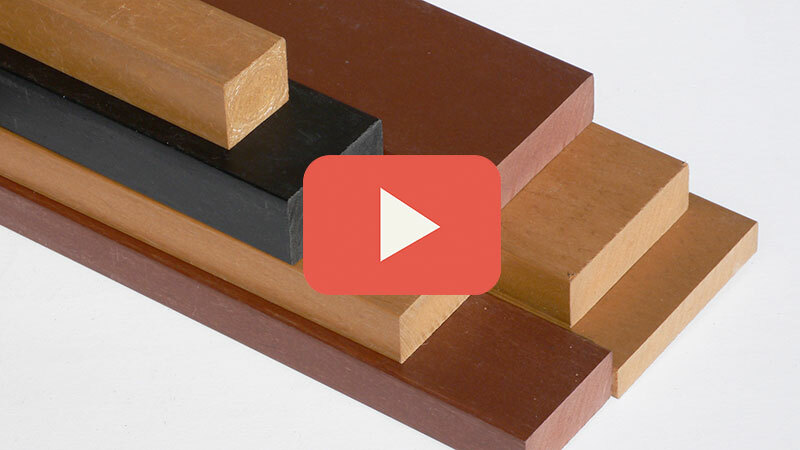 There's a long list of applications where Recycled Mixed Plastic Lumber and Plastic Wood or Synthetic Wood have come into their own. Kedel have therefore found a growing market for recycled plastic products. Not only for recycled plastic planks and profiles in mixed plastic, plastic wood and sheet materials, which are in high demand from Building Professionals such as architects, specifiers and institutional buyers, but also for finished products. Our fencing posts and related profiles make agricultural fencing and one time installation, which is a great boon for farmers who spend inordinate amounts of their time repairing old fences. We have both round and square posts that will take staples and many with points to make it easy to drive them into the ground. Some of these posts are very large and long. They and can be immersed continually in water to support jetties, fishing pegs and bridges. We even have some recycled plastic posts and beams reinforced with steel inners for extra strength. Many families own a car, and parking is sometimes a problem leading to paving over of gardens. The inevitable increase in run off has put a strain on water utilities due to increased volumes of rain water entering. This has led to new regulations requiring planning permission for non permeable paving areas and additional charges by water utilities. Kedel's Drainage and Ground Reinforcement Grids provide a sustainable urban drainage solution which is quick to lay, cheap, and can carry up to 16 tonne axle weight or 240 tonnes pressure per square meter. No planning permission is required as water drains through easily. 9 grids link together to form one square meter, and besides the domestic interest in this product it has also attracted institutional buyers looking for a temporary parking solution of access roads that will carry fire engines in emergencies. The grids can be grassed over to maintain an aesthetically pleasing result that will hold the ground together and not be damaged by heavy vehicles or regular pedestrian traffic. There is an equestrian version of our permeable drainage and ground reinforcement grid for use where horses or cattle would otherwise churn up the ground, but hooves will not get snagged by them as they are thicker and have smaller spaces in the grids. Kedel also supply several other types of recycled plastic paving, both permeable and impermeable. These solutions will neither rust nor rot, so the applications are infinite in both domestic and commercial/industrial environments. 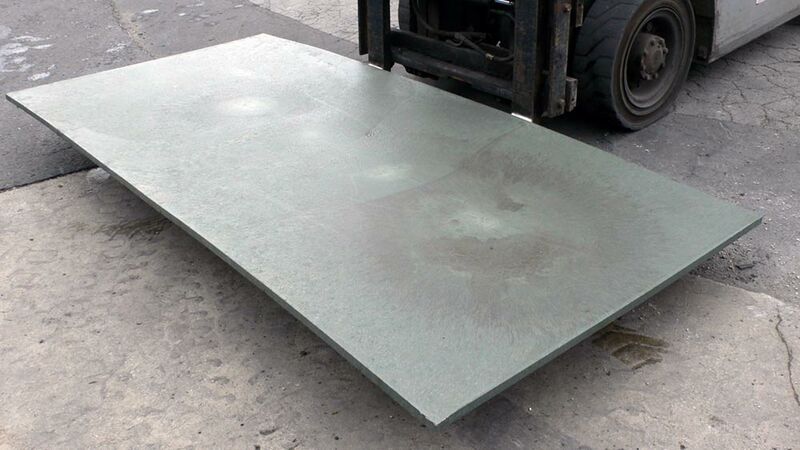 Our Eco-slabs are octagonal and decorative with and without slots for drainage, and all terrain sheets are great for building sites where heavy traffic needs a temporary paving solution to protect from environmental damage during the project. In our damp British climate Recycled Plastic Decking has been a great innovation. Not only does it have superior slip resistance compared to wood, but it will not entertain mould, slime and moss growth as there is nothing for it to adhere to. A visitor to our stand at a recent exhibition told us she had had this type of decking down for 7 years. After three years some green mould developed, but she was able to use a domestic mop to remove it. This would not have been possible with wooden decking. (It can also be jet sprayed without harming the material.) Weathering tends to make this product even more wood-like she told us, and her friends had no idea it was made from recycled plastic. 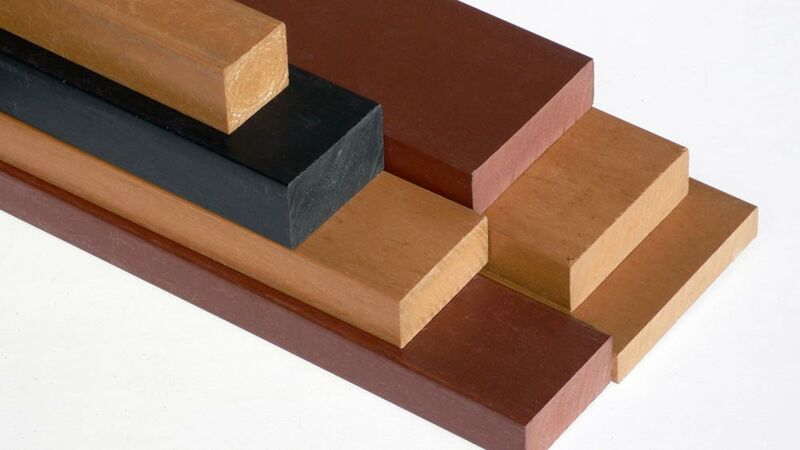 Our recycled plastic decking is superior to wood/plastic composite decking which can sometimes absorb moisture. Another visitor to our exhibition stand complained that his relatively new wood/plastic composite decking had warped badly, due to standing water which was absorbed to some extent by the wood flour mixed with the plastic. He was unable to claim on the warranty and was told by his supplier that the decking should have been laid at a slight angle to prevent water standing for extended periods. Recycled Plastic Decking does not have this limitation. You can enjoy all the aesthetics of wood with all the advantages of plastic. We would expect the product to last several maintenance free decades. Annual preservative treatments will never be needed. We use recycled plastic HDPE sheet in bright colours in our designs of outdoor role play equipment for schools and nurseries. The attractive colours please the children and the teachers are very happy as it can stay outside all year round without harm from the elements. Then there is Stokbord™, which comes in a textured dark grey/black colour or with a surface green. It's a recycled plastic sheet material in various thicknesses which is used in horse boxes, pig pens and for other animal and equestrian related applications. The animals don't seem to chew it and it's rot free properties are ideal for a wide variety of agricultural and related purposes. Recycled Plastic Products in agriculture are a godsend and save on long term recurring costs. Kedel supply recycled plastic materials for all types of animal shelters, equestrian environments as well as for paddock and pasture fencing. Street furniture in recycled plastic is nothing new, and was one of the first applications for recycled plastic. Kedel have improved its appearance and wood-like feel as well as adding bright colours to the mix. And some of our seat profiles are reinforced with steel, so you can extend the length without any sagging or creep over time. You will find a variety of Recycled Plastic Bollards, including the fluted classic look Buckingham Bollard with or without reflective strips. And what street is complete without signage, information stands and attractive benching. We can make bespoke signage for any situation from city centre to country park environments. Or you can just acquire some diamond top posts and make your own signs. For parks and gardens you can you can add picnic tables and benches from 1.2 to 2 meters in length and some of these recycled plastic tables have extended ends or side recesses to make them all inclusive for wheelchair and pushchair access. If you want them longer you only have to ask. They are also heavy, unlikely to blow away and extremely difficult for casual young pranksters to move. They can of course be bolted down and we have just the right street furniture security accessories to keep them safe. Some have holes moulded into the base ready to take an anchoring bolt. Kedel have designed outdoor furniture for all occasions from over 50's purpose built accommodation, to schools and university recreation areas. Outdoor benches, patio tables and chairs that look like the traditional wooden varieties and picnic tables with umbrella parasol holes ready for the summer, and with global warming we might have a few more of those summer days to look forward to. Our Recycled Plastic Waste Bins are fully constructed and ready to go, and being recycled plastic are far less flammable than wood besides having a much longer life and greater vandal resistance. In 2012 we added a variety of multicoloured lockable or standard storage, salt and grit bins that can be produced in at least a dozen colours, to either stand out like a sore thumb or blend in and become almost invisible. These are tough durable UV protected bins with lids that keep the wet out and the contents dry. In an industrial setting Kedel offer cable conduit covers, some of which are reinforced with steel inners, a variety of specialised supports and dunnage for rail, marine and heavy industry. Heavy duty cable reel cradles to replace rotting wooden ones, marine fenders, and both permeable and impermeable paving solutions with excellent non-slip properties. 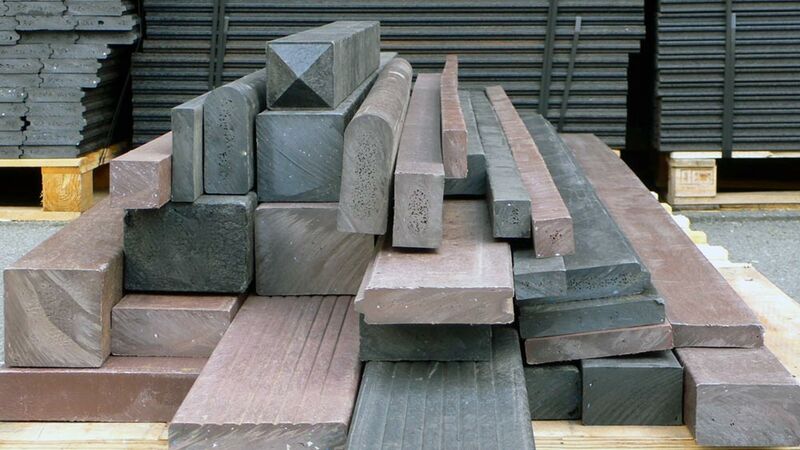 Landscape designers can choose from a variety of decorative beams and sleepers, and recycled plastic profiles for fishing pegs, boardwalks, marinas and waterways. Hard Landscaping Products such as Ogee Palisades that fit into each other, both solid and hollow, with and without points and standard palisades either square of round. From Curbs and L-Stones to Retaining plantable walls and sound barriers landscapers will find everything they need in recycled plastic that they used to design with wood, concrete or steel. And if there is anything you need to have bespoke designed, Kedel have an in-house Industrial Product Design team and computer aided cutting equipment including CNC services at your disposal. No doubt we will evolve more recycled plastic building materials for the UK as time goes by, but you can do quite a lot with the 5 types building material we supply. Plastic is a headache to get rid of, as it is by nature durable and resistant to decay. In the UK we use a colossal amount plastic, and export 85% of our inevitable mountain of waste plastic to China and other Asian countries, who buy it at about £25 a tonne. 30% of our landfill sites are made entirely of plastic waste collected from UK households and businesses. Putting it there costs about £200 a tonne. Recent studies in 2014 also found 41% of human waste products on the sea bed are plastic and there is a lot of it. It's much more sensible to make use of it intelligently to make new products that eliminate the cost of maintenance and replacement permanently. Our 'trade only' website, kedeltrade.co.uk, is therefore proving very popular as a one stop shop with specifiers, architects, facilities managers, and other professionals in the construction and building industries. Yes we accept visitors. Just give us a call on the number below so we know you're coming. If your in the local area such as Nelson, Foulridge, Lane Bottom, Colne, Bradford, Clitheroe, Accrington, Blackburn, Keighley, Newchurch, Preston, Rochdale, Huddersfield, Shipley, Dewsbury, Castleford, Harrogate, Wakefield, Darwen, Leyland, Halifax, Bacup, Hebden Bridge, Barnoldswick, West Yorkshire and quite possibly Manchester or Bolton, then come and visit our showroom and see our elegant products first hand. Experience them as they are, be amazed that they are not wood as you know it, but recycled plastic that looks and feels like wood - superior in design and superior in quality to traditional wood lumber products. 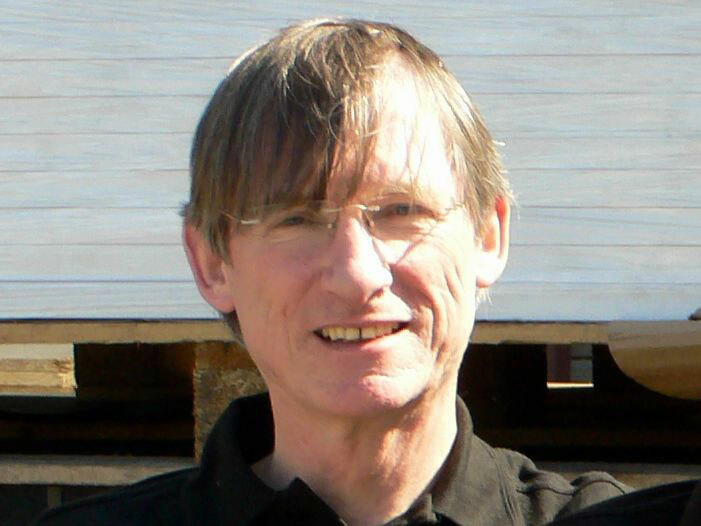 Dermot Walch via email or call 01282 861325 - 7am to 5.30pm Monday to Friday and some weekends. 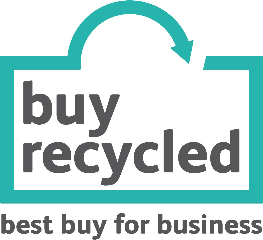 Anything in recycled plastic that you can't find on our website we will endeavour to source for you. Suggestions and requests can also be sent via this enquiries form.